Groupon did a lot of things right. 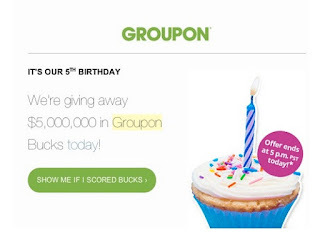 They used email to reach out to their opted in subscriber base and they used a compelling subject line with a limited time offer “We’re Giving Out $5,000,000 in Groupon Bucks Today.” Plus, there was a sense of mystery–you had to log in to see if you scored bucks. 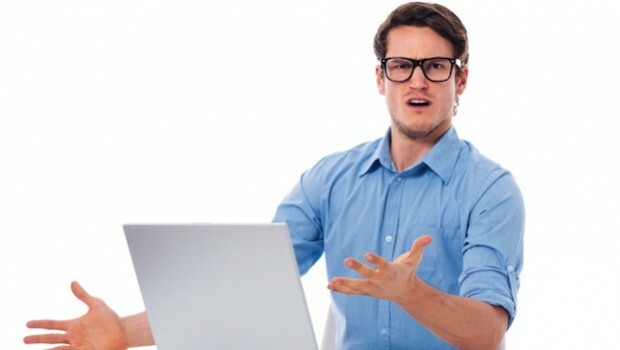 But here’s where things went awry… when the recipient clicked the call-to-action button with great anticipation of scoring bucks, many were met with a lackluster response to the effect of, “You didn’t score.” Not very encouraging or friendly. While you can’t expect everyone to win, Groupon ended up annoying some pretty loyal customers with this promotion. A few of my team members expressed the sentiment of “Couldn’t they have at least given me a dollar?” Their thought was, if they had gotten something/anything, they would have felt better about making a purchase vs. getting nothing after spending a lot of dough with Groupon. If your company does promotions, take a lesson from Uber. They totally nailed it in their National Cat Day promotion. You can also structure your promotions in a way where everyone feels valued, from your existing customers to new prospects you’re trying to get in the door. By offering a variety of offers all the way through the funnel, you’ll make sure you get customers and keep them. For example, at VerticalResponse, we wanted to reactivate some customers who hadn’t sent any email in a few months. So we sent an email letting them know we were giving away 10 million email credits and had made a mystery deposit in their accounts. We made sure everyone on the list received credits as an incentive to log in and send some emails on us. And, the likelihood that they’ll buy more credits and send more email out went up exponentially. Plus, they got an unexpected surprise. A win-win. How do your promotions serve your business and your customers? Share in the comments.